December 23, 2010 - Justin and the fund are featured on CBS News. Story and video. 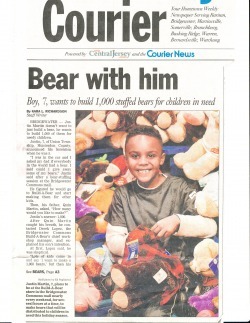 December 18, 2010 - We are so close to Justin's goal of 1,000 bears! 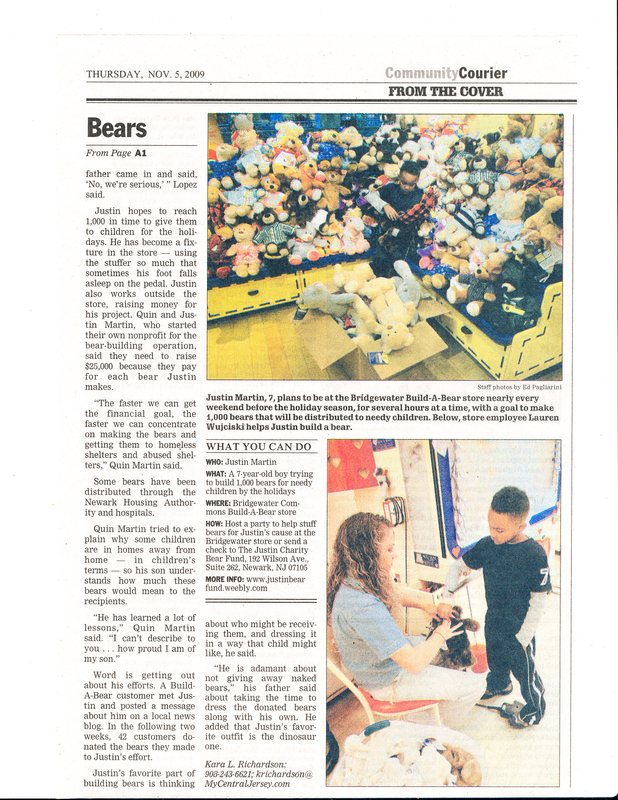 Thanks to all the donations and support, Justin has made 892 bears and has distributed 710 of them to various charities in time for the holidays. July 11, 2010 - 65 bears were recently given to the St. Joseph's School of the Blind in Jersey City (slideshow of visit) and 35 bears to the Embrace Kids Foundation, which works with the Children's Cancer Wing at Robert Wood Johnson University Hospital in New Brunswick. Dec. 12, 2009 - At 5:50 pm today, Justin stuffed the 1,000th bear!!! But he will continue to make bears for needy kids as long as there are donations. Dec. 7, 2009 - We are up to 827 bears!! 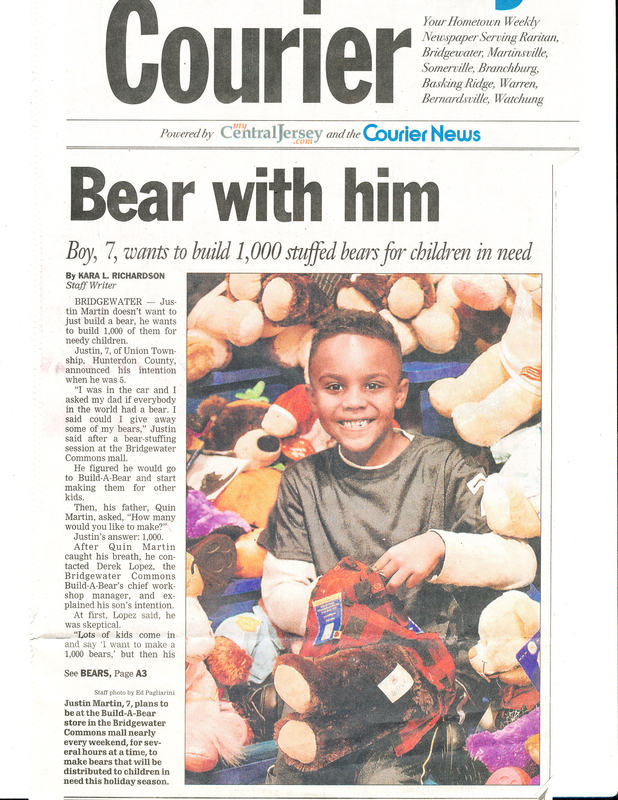 Dec. 1, 2009 - Justin and his helpers have made 650 bears to be given to needy children around the state! Our most recent donations and help from a young girl celebrating her Bat Mitzvah (see photo gallery) helped us get this far. © 2009 The Justin Charity Bear Fund, a registered nonprofit.